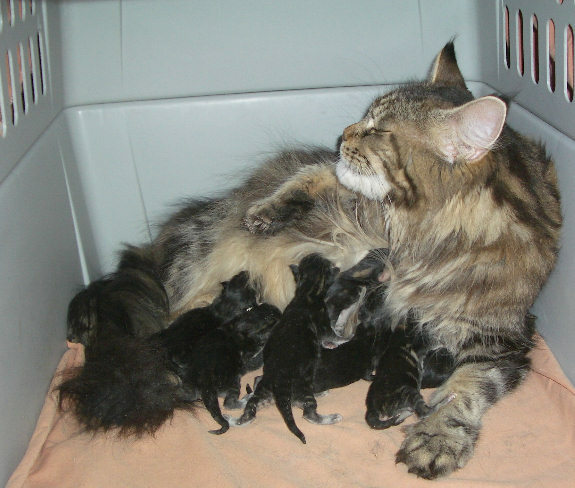 Gracie's fourth litter was born in March 2007. Their father is Wonder (IW SGC Windwalker Wonder). We named them after the Seven Wonders of the ancient world. 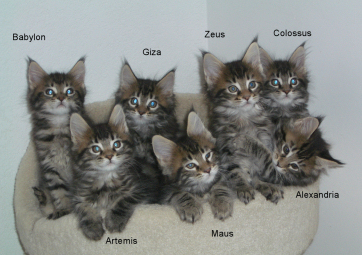 Left to right, they are Maus (upper left corner), Colossus (lower left), Zeus, Artemis, Giza, Babylon, and Alexandria (lower right corner). 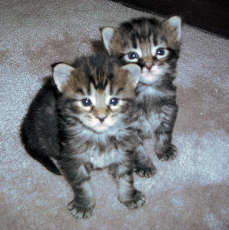 They are pictured above at 12 weeks of age.